Singapore is renowned for skyscrapers and beautiful buildings. If you love architectural work then there are lots of places to see. Bedok is one of the places where you can enjoy sailing, fishing and is a popular place for foodies. 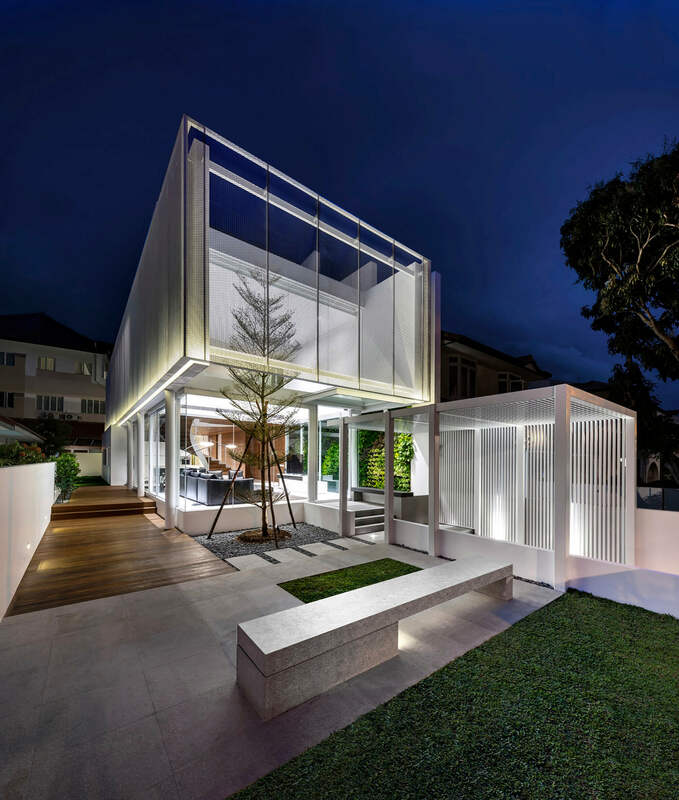 You can find lots of creative architectural designs here. 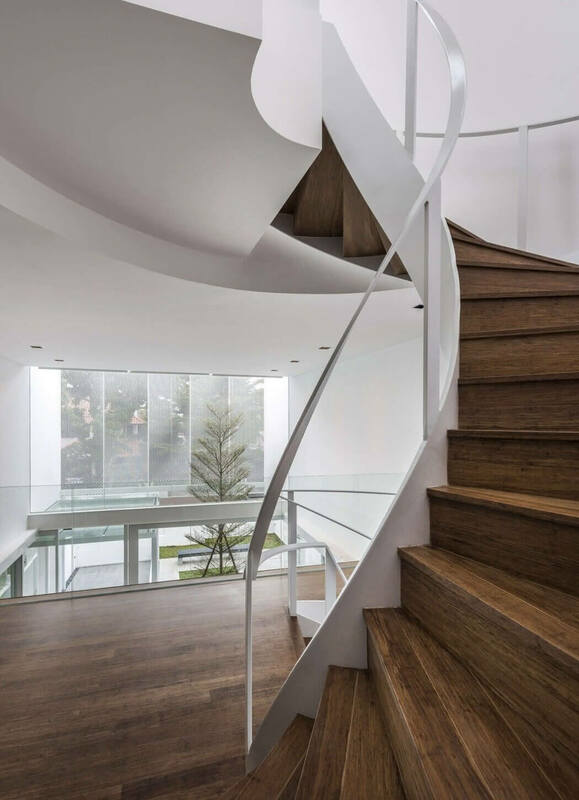 Greja house is one of them which is built by Park + Associates. 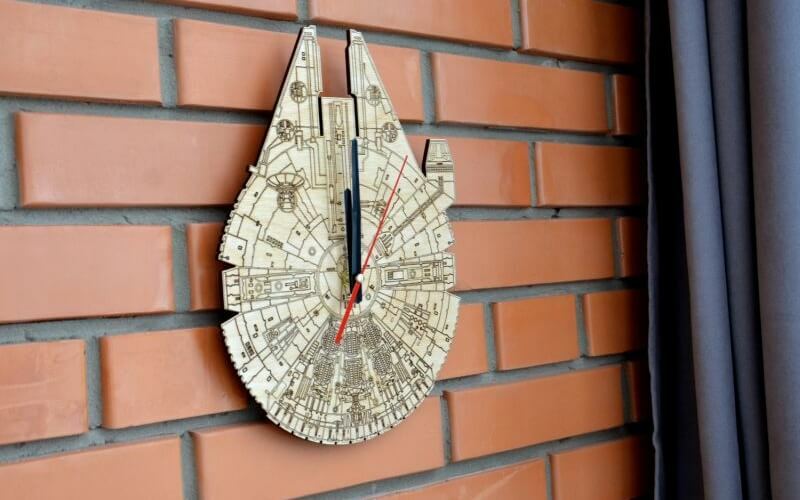 It is very unique and innovative. 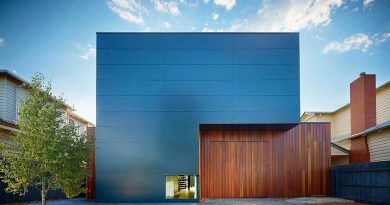 The exterior is eye-pleasing and spectacular. 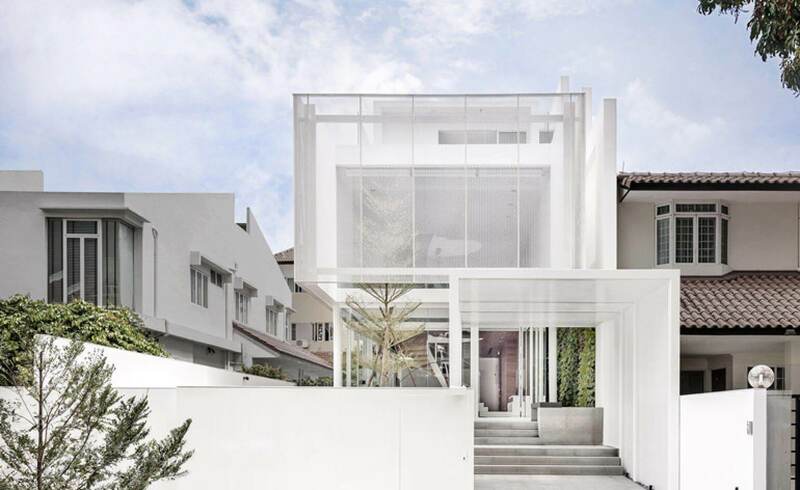 Coming to the layout of the house, it is framed in a cuboid shape, surrounded by white mesh that veils the private spaces of the house.If you will see silver street house than you will find that it has quite similar exterior. 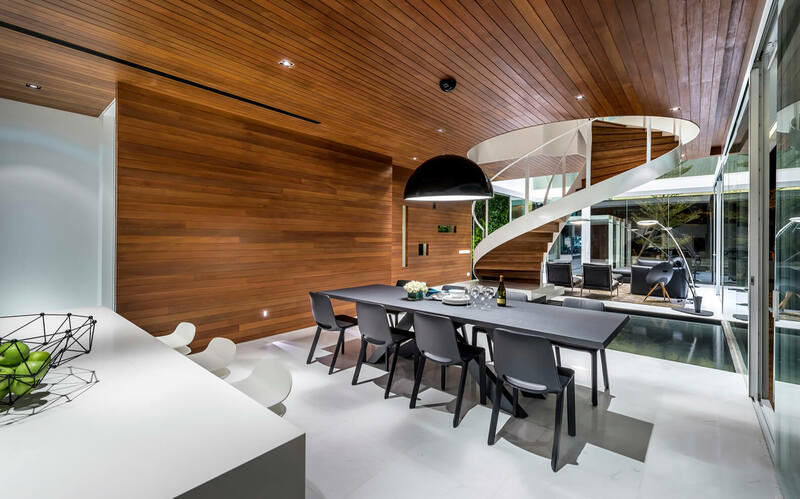 The key feature of this home is its interior which is designed in a different style. 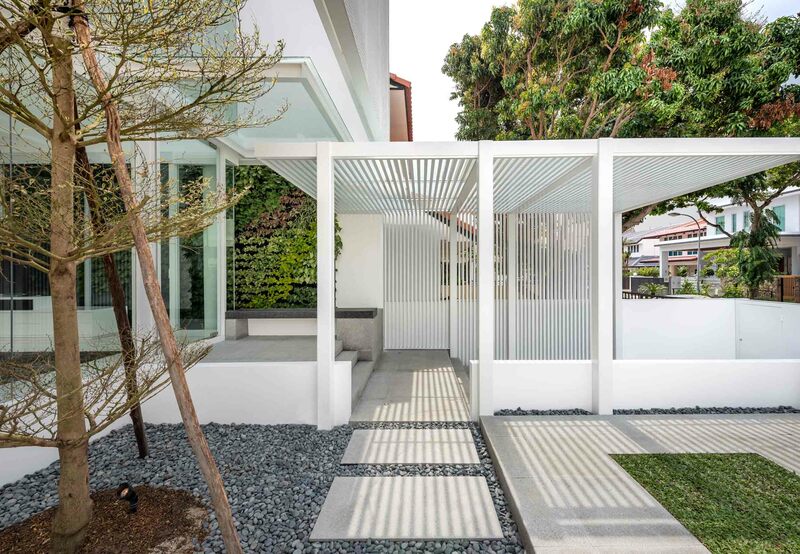 A white concrete mesh is laid out above the ground floor, instead of the wall, doesn’t it sound interesting? The eye-catching mesh is placed vertically in place of the wall that gives a creative shape to the overall area. Other than this, it brings an immense amount of sunlight and ventilation inside. The interior comprises a palette of white marble and granite slabs. Different from the conventional approach, where the rooms are separated by the walls, the domestic programmes are composed as interconnecting voids. 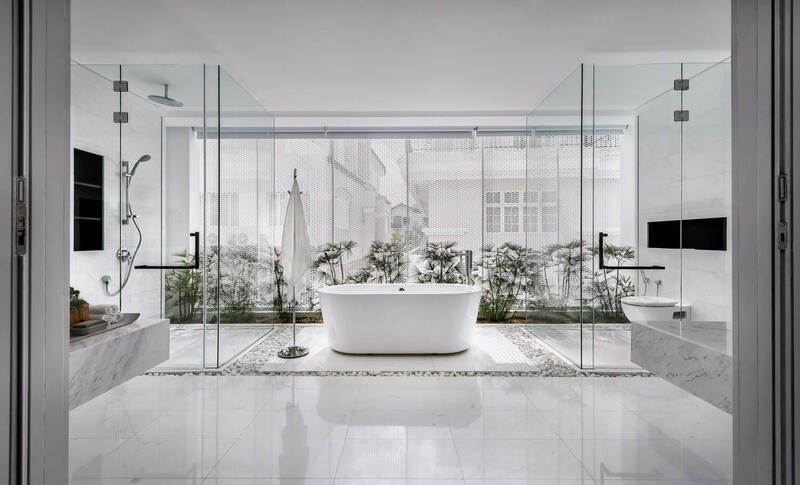 A semi-transparent glass is used inside and outside to bring filtered sunlight while maintaining the extent of privacy. For an entrance, a tunnel-like walkway is created. A bedroom, bathroom, and utility room are created in the backside area on the ground floor. 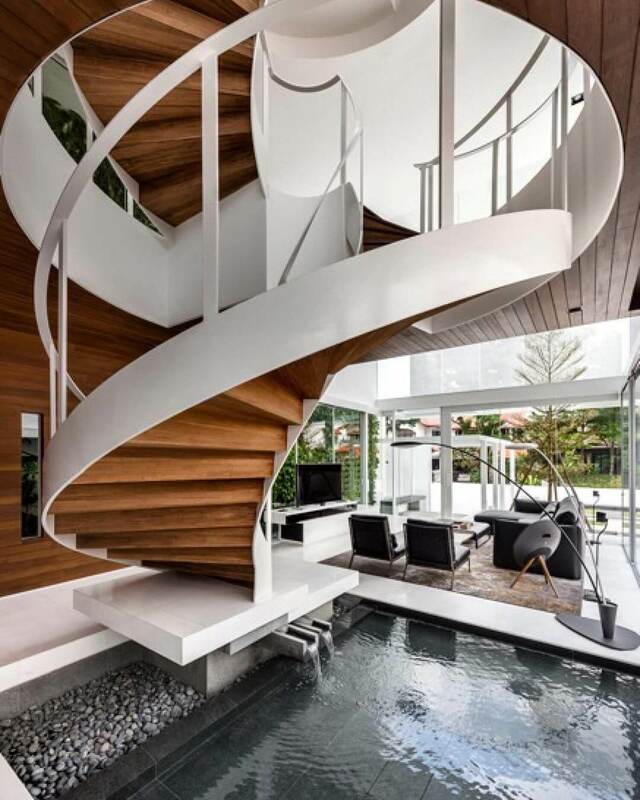 Along with this, a beautiful staircase with matching treads is built above the water feature. 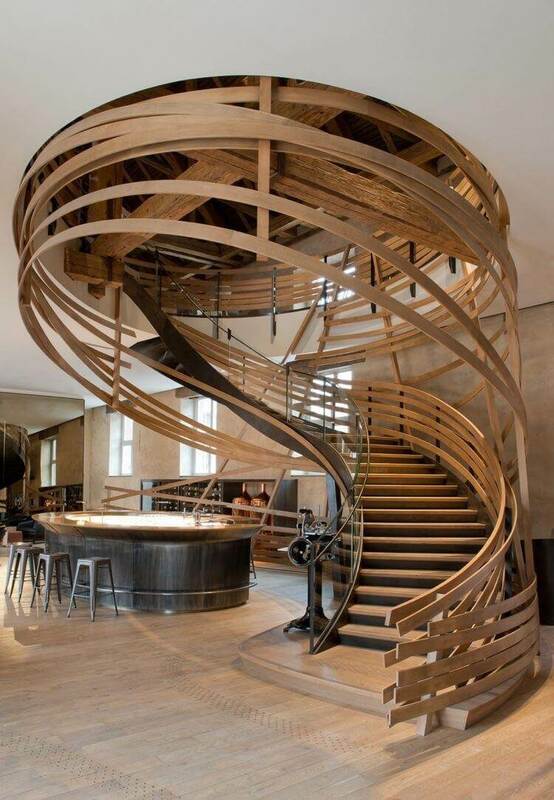 Both the first and second floors are connected with the beautiful helical stairway. 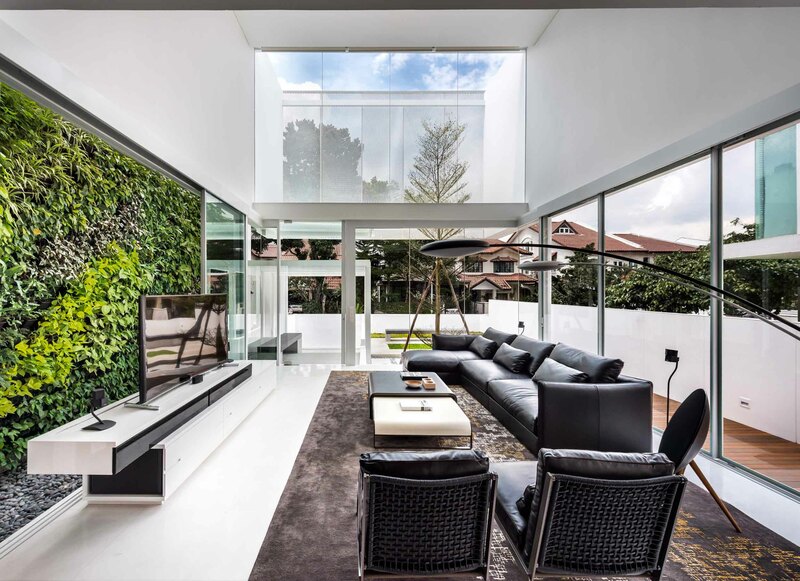 Sungei Bedok river in its background and integrated garden foliage on the walls gives it a more natural touch. Park + Associates is a well known local architectural firm for its wonderful projects. It is considered one of the best projects of this firm. 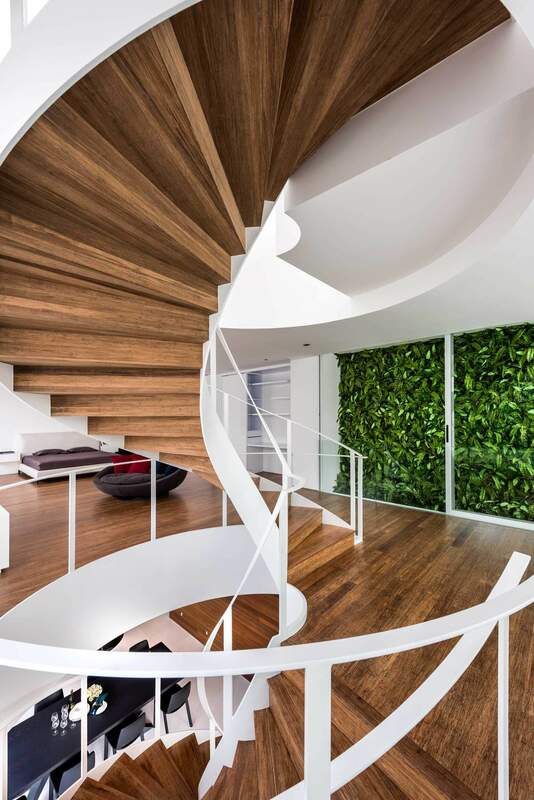 Keeping most of the spaces unbounded by walls makes it more interactive and special.